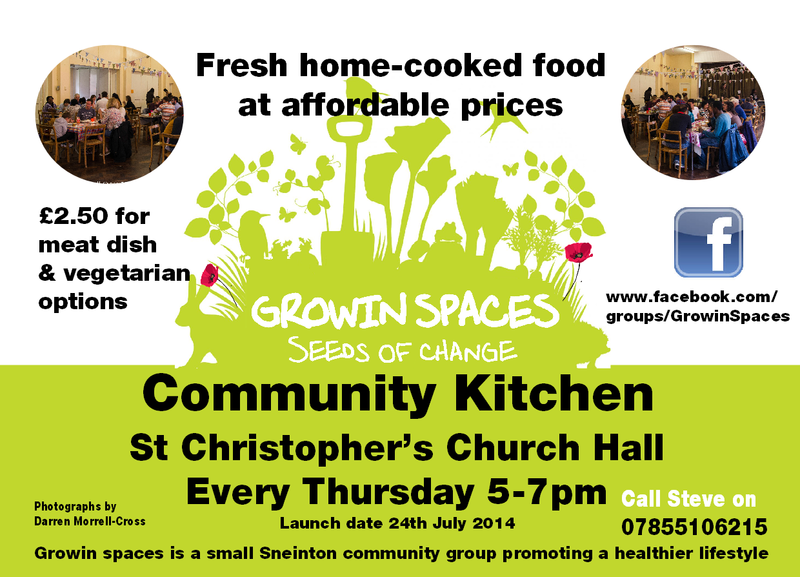 Thursday 24th July sees Growin Spaces, the Sneinton based community growing project launch a new initiative- the Community Kitchen. Project Leader Stevie Doig is also a great cook who has been running Saturday's Hub Cafe at the Hermitage Centre. The Community Kitchen will take over at St Christopher's Church Hall from the Secret Kitchen and will be run along similar lines. Growin Spaces, however will offer meat dishes as well as vegetarian food. Thursday nights in Sneinton will be community eating night- see you there! For more information find Growin Spaces on Facebook.